December 10, 2018 Rainbow Six Siege’s chat filters are getting a significant update. Earlier this year, Ubisoft implemented auto-bans for toxic chat in Rainbow Six Siege, but now the developers are taking a slightly softer approach. Now, messages that trigger the language filter simply won’t be appear in chat, but they will be sent along to the moderation team for manual review. It’s not clear whether auto-bans have been entirely removed, however. Players who use “inappropriate language” will now see a private indicator saying that “the following message was not sent and will be reviewed for inappropriate conduct,” along with a note on the specific word used. This has an added benefit in preventing other players from seeing even the censored version of a toxic message. This pretty directly addresses the largest part of the community’s concern over the toxic chat filter, as it puts the onus of issuing bans on human moderators rather than making those suspensions automatic. The new system looks to be better all around. 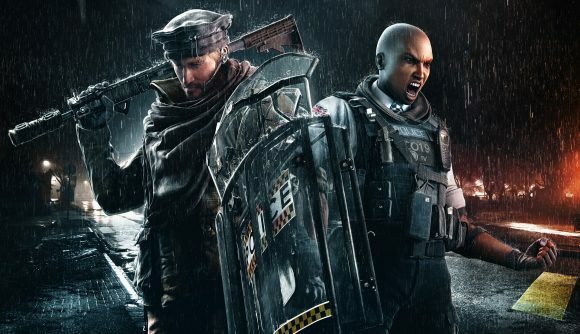 In March, Rainbow Six Siege community manager Craig Robinson said Siege was planning a crackdown on toxic behavior within the player community. That’s included big ban waves for hackers and tougher penalties for team killing alongside the chat filters. The fight against people behaving like jerks on the internet continues, likely into eternity.